I have a friend that loves a good discussion. One topic that we've talked about several times is deafness and Cochlear Implants. She likes to say "Well what about the scriptures that say the deaf will hear?" She is a former dancer and currently can't dance because of severe health issues. So her perspective that deafness is a wrong that would be made right is understandable since she has lost considerable abilities and feels the loss keenly. She's not actually as anti-deaf as this recurring discussion would paint her to be. Her family is the only one in the ward that has crossed the road from "I wish I could sign" to actually being able to function as an interpreter in a pinch. And they also converse casually with deaf members. My perspective in this discussion is personal. Our family chose to have our deaf son implanted when he was 4 but didn't get medicaid funding until he was 5. We also have signed with him since he was diagnosed with a moderate loss at 1. We are extremely unique in our embracing of the sign and the CI. Before moving to have our son attend the school for the deaf, we lived in a town where everyone else had their children implanted and none of the families sign. True, we only knew 10 families, but none of them signed fluently. All 4 families in my son's age range chose to have their children bi-laterally implanted. This 4 to 1 ratio caused the district to create an oral program for those children that our son could not participate in. Ironically our son was left to attend an ESE classroom with an interpreter, but no signing peers. Eventually moved to places with strong oral programs. One family was even a member of our faith, but not in our congregation. We had so much in common, but could not be friends because we actually had nothing in common. So I know that when people choose oralism, it does in fact result in the isolation of deaf people. The point I want to make is that being deaf is not bad. In the scriptures it is often classed with other maladies that we'd all be happy to be cured of, blindness, being lame and what not. But think of all the other inabilities people suffer from and seem to get along just fine. I personally can't dance. I feel really embarrassed if I try. And I feel even more embarrassed watching people dance. I'm actually happy without dancing. When you are not involved with a community, it is very easy to imagine the value of their association away. I know people who can't sing, or sew. Gasp! People find joy in many ways. Some can't imagine being happy without sight, hearing, or walking. I have a hard time imagining happiness in gun ownership or drinking alcohol. In ancient times certain "limitations" were more visible. Though it seems that even then, they knew about affluenza. Note the case of the rich young man that wanted to go to heaven. So. Sad. 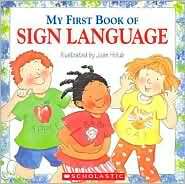 When you live in a town with no deaf community it is easy to think "Who would my child ever talk to if they signed?" The answer is no one because there is no one to sign with in that town, especially if the family won't learn. But when you live in a community with deaf people, you can more easily recognize that they aren't isolated. It becomes more like "If I teach my child to speak Polish they will be able to talk to their grandparents". If I teach my child a language ________ they will be able to participate in a community of people who also speak ________. Whether it is Ebonics, Spanish, or Minecraft. BTW, I don't let my kids play minecraft. Sorry we can't be friends! But let's return to that rich young man. The moral of his story is that whatever you love more than God, keeps you from him. Do Deaf people love their deafness more than God? I doubt it. Do ballroom dancers, in their skimpy costumes, love their dancing more than God? Probably not. Could it be possible that God loves them both in their abilities and inabilities that bring them joy? I hope so.